Home / Celebrities Gist / Rapper Snoop Dogg Versus President Donald Trump!!! 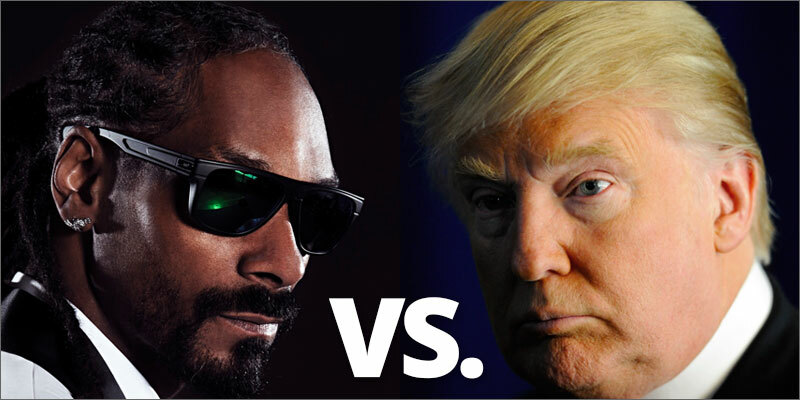 Rapper Snoop Dogg Versus President Donald Trump!!! Snoop Dogg not too long ago joined the list of celebrities who are speaking out against the current president of the United States by expressing it in his music video which he released on sunday for BadBadNotGood's track 'Lavender' and the focus was on current events in the United States and also the US president. 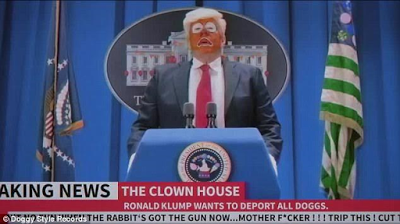 Another scene showed Ronald Klump holding a press conference at what was called the Clown House where he announced the deportation of all dogs. The dogs was spelt as 'doggs'. Snoop Dogg explained that the motivation for the song came from the need to deal with the real issues in the United States. He said he needed to take time out from making party records to make the political record which gives a voice to the people who do not have a voice. "I feel like it’s a lot of people making cool records, having fun, partying, but nobody’s dealing with the real issue with this f**king clown as president, and the sh** that we dealing with out here, so I wanted to take time out to push pause on a party record and make one of these records for the time being." He said to Billboard. He continued:"Making a song that was not controversial but real -- real to the voice of the people who don’t have a voice. It’s not like [Jesse] told me to make a record to express what I’m expressing on the song, but there were certain things that he said that brought that feeling, to make me want to express that when I was writing." 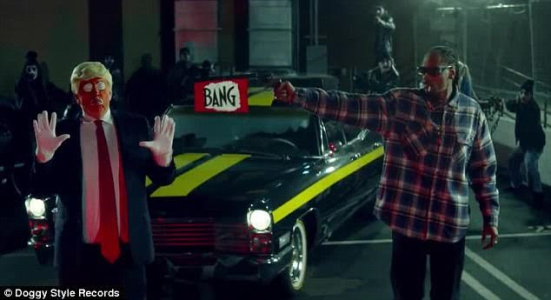 U.S. President Donald Trump has responded Snoop Dogg's new music video. 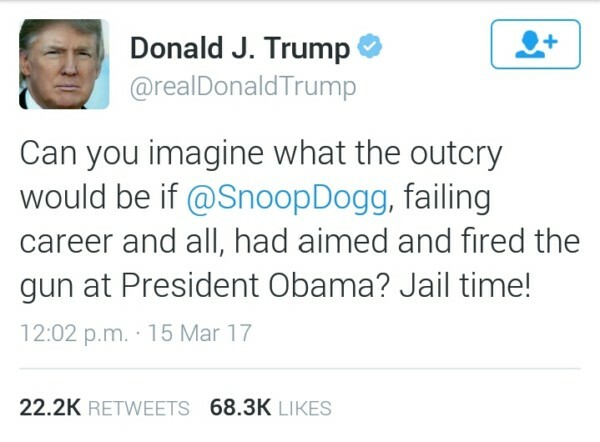 "Can you imagine what the outcry would be if Snoop Dogg, failing career and all, had aimed and fired the gun at President Obama? Jail time". Hmmm, I wonder how this would end.